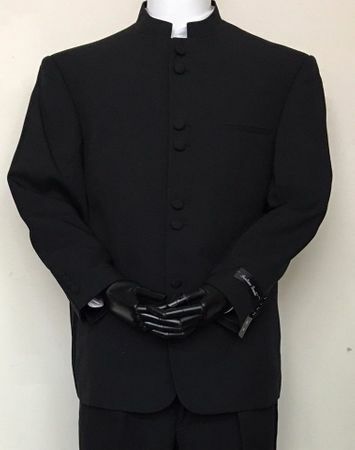 If you are a regular at a Club or two on a Saturday night and like to have people want to know who you are, wearing a mens fashion style suit like one of this black Mandarin collar suit will certain have people wanting to know who you are. The Mandarin style Collar of this black Mandarin collar suit has the unique attitude to allow you to stand out from the mundane. People will certainly take notice when you arrive with your entourage. Featuring pleated pants and made of poly/rayon fabric. Dress like you're the force to be reckoned with in this head turning black Mandarin collar suit from Contempo.